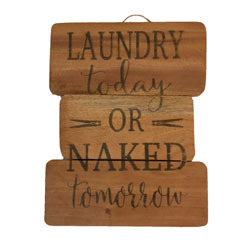 Liven up your laundry room with this wooden sign reading 'Laundry today or naked tomorrow.' 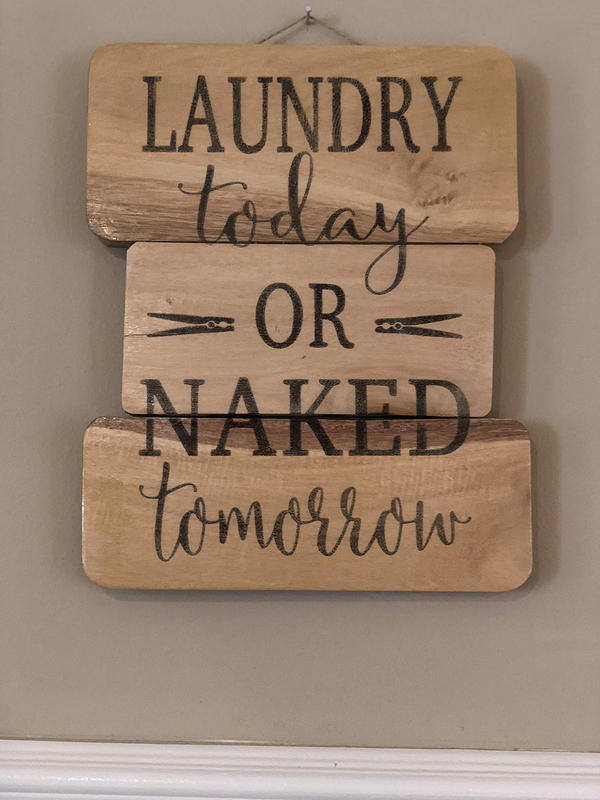 One of the most often procrastinated household duties, everyone has gotten down to the last clean shirt or pair of jeans. 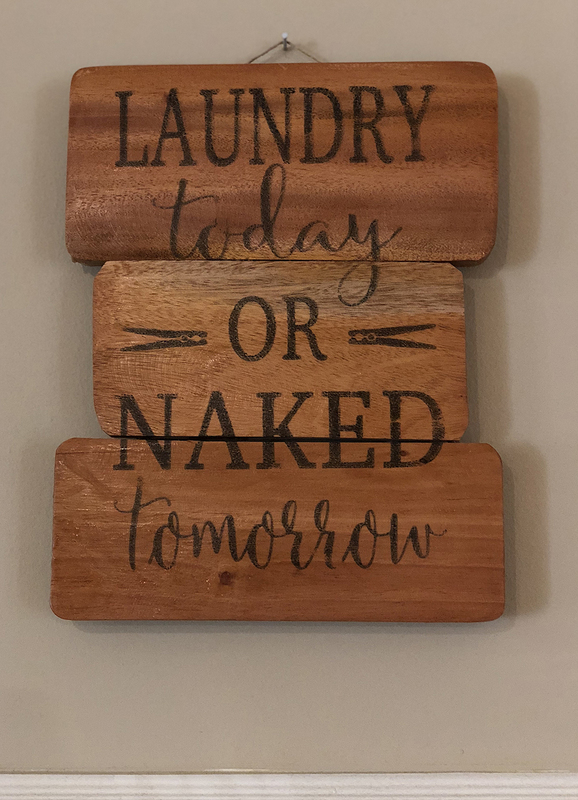 Eventually we all live this truth! 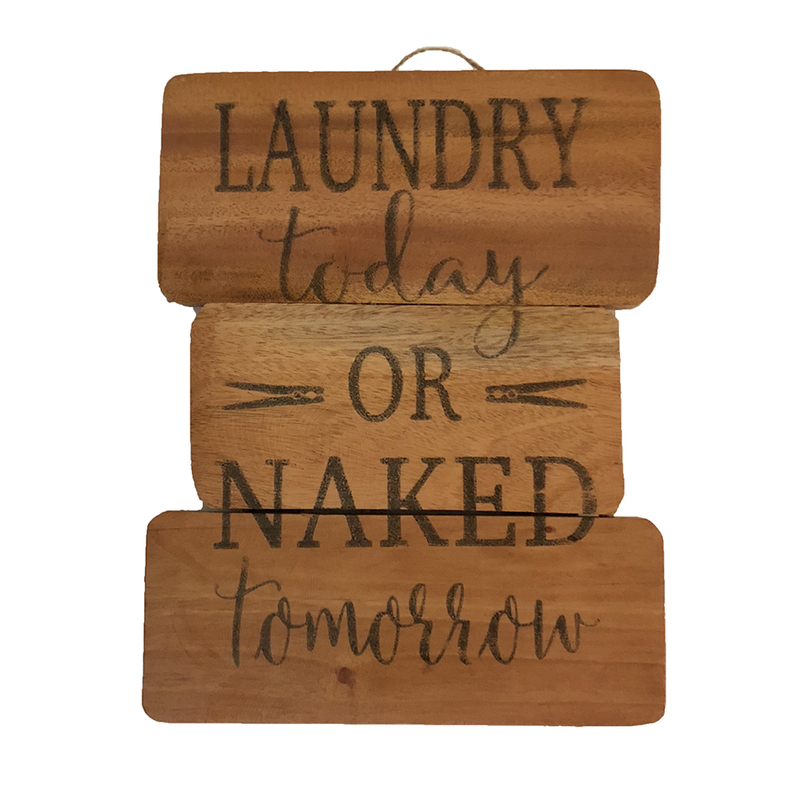 Each sign is a combination of unique wood pieces making this sign yours and yours alone!